Our beloved mascot passed away here in Savannah today of a sudden heart attack at only 4 years old. How devastating! This is not just any dog people. This is OUR mascot, OUR DAWG! Our team will have to play this weekend without our beloved mascot. 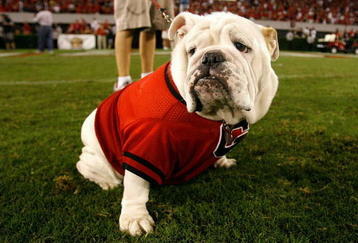 I hope they win this weekend for sweet UGA. So sad. House Update and Another Sweet Surprise!